Pricilla Westlake, Author at 45 Conversations Media & Education Ltd.
Loris Malaguzzi is an important figure in the development and history of the field of early childhood education. Loris Malaguzzi is responsible for developing one of the world’s most popular educational approaches to date and that is the Reggio Emilia approach to early childhood education. Malaguzzi developed the Reggio Emilia educational approach shortly after World War II at a time when many Italians felt children needed a new and progressive way of being educated. In the 1940’s after taking degrees in pedagogy and psychology, Malaguzzi began his career as an elementary school teacher. In 1963 with the help of the municipality of Reggio Emilia, Loris Malaguzzi participated in the creation of the first municipal preschools and simultaneously aided in the creation of several infant-toddler centres within the community. 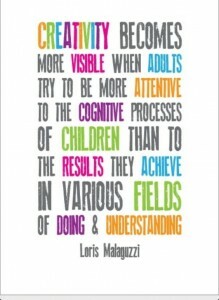 Malaguzzi’s Reggio Emilia style of education was revolutionary and unique in the way that it understood that young children are individuals who are independent and are capable of doing whatever it is they set their mind to. Malguzzi believed that all children are resourceful and intelligent. He understood and incorporated these beliefs into his teaching philosophy and into the development of one of the world’s most popular educational approaches, the Reggio Emilia approach. Children are driven by their instincts to learn. children are resourceful and intelligent. Educators and teachers are mentors or guides who facilitate a child’s learning process. Children’s learning processes and thoughts are documented by teachers to reflect upon and conceptualize the progress and development of the child. Children are communicators and are encouraged to use language to ask questions and discuss their observations. Children learn about themselves and their place in the world by socializing and interacting with others around them. Play and learning are not separated. 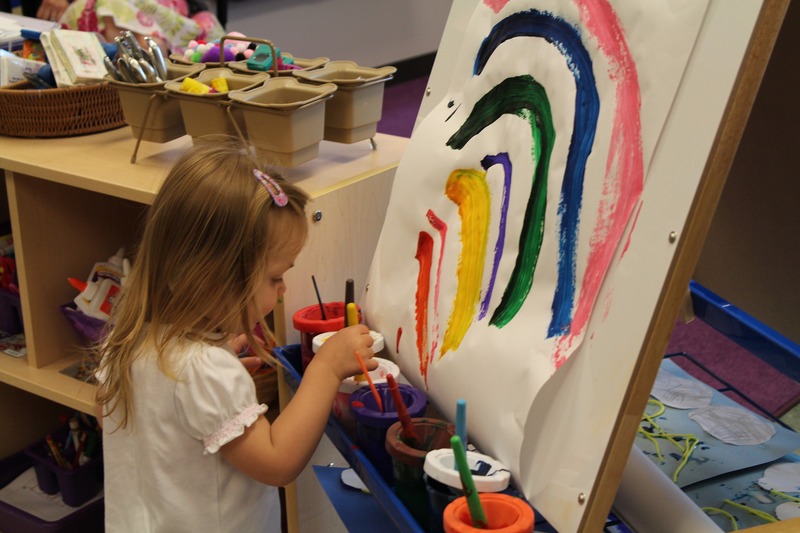 Children express their understanding and application of the things they learn through their play and creative modes of expression (language, acting, drawing, painting, sculpting, pretend play or modelling and music. In the Reggio Emilia approach this is called the “100 Languages of Children”. Reggio Emilia is not a method, but is an approach that can be altered and developed to fit the needs of a particular school or a given community. Schools are not Reggio Emilia schools, but instead are “Reggio inspired” as each school and community is different, thereby influencing the educational approach to be unique to a particular school area or community. Read more about the Reggio Emilia approach to early childhood education and find out more about Loris Malguzzi. 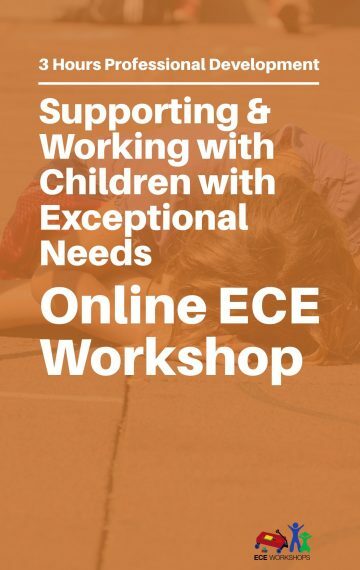 45 Conversations offers online ECE workshops so that early childhood educators can complete their professional development hours easily. 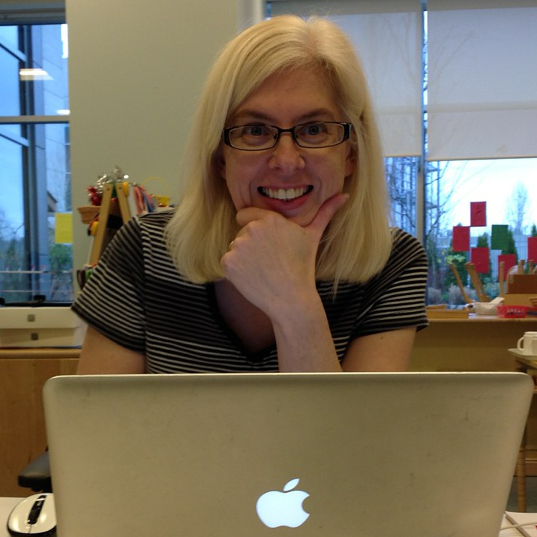 Several of the workshops incorporate learnings related to Reggio Emilia. 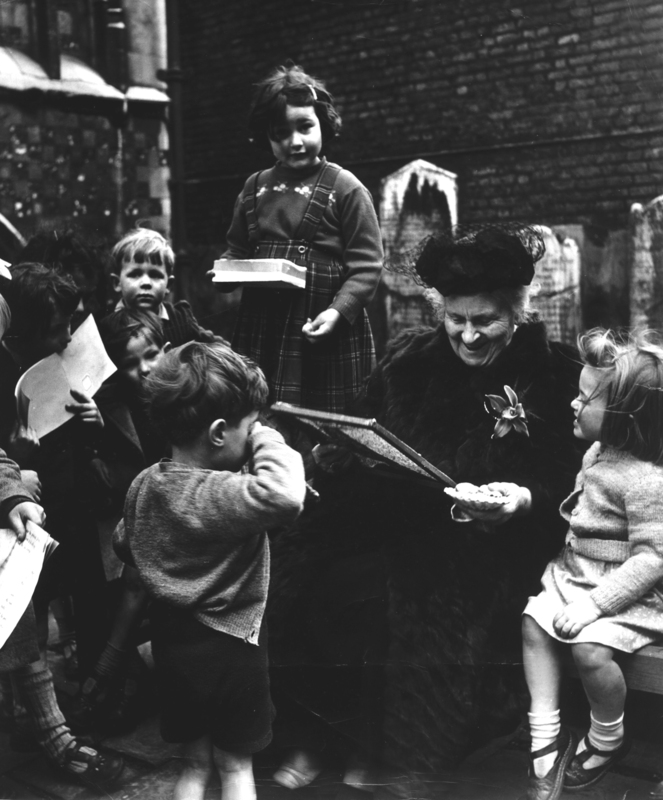 Maria Montessori is one of the most influential names in the history of the development of early childhood education. Maria Montessori was born August 31st, 1870 in Chiaravalle, Italy. Educated in Rome, Maria became one of Italy’s first ever female physicians and graduated from the University of Rome’s medical program, focussing on psychiatry. However during this time she also developed a keen interest in pedagogy, education and educational theory which would help her create an innovative way of teaching young children and would also spur her to open up the first ever Montessori school called the Casa dei Bambini or Children’s House. Maria is famous for having developed a school of thought and method of teaching, named after her, whose main tenets centre around a young child’s natural curiosity and inclination to learn. This style of teaching in early childhood would become known as the Montessori method and is a style of teaching that focusses on auto-education or a child’s innate intrigue in self-taught learning. Within the Montessori method, children are given the space and resources to learn at their own pace and in ways which are natural and less structured. 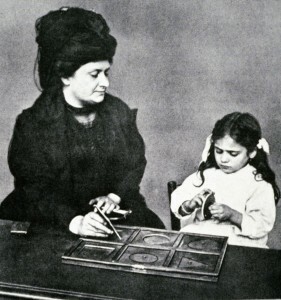 With the ability to have up to three grade levels within a single classroom, Maria Montessori incorporated this aspect of integration into the Montessori method, after making the observation that children can learn from each other and can be taught by each other just as easily as adults teach children. Classes focus on a child’s natural learning process and innate curiosity to educate itself. To this day Montessori schools and early childhood education centres and facilities are very popular for their childcentered approach to learning. The Montessori method has been in use for over a hundred years. Maria Montessori opened the first Montessori school called the Casa dei Bambini, or Children’s House—in Rome on January 6, 1907. There are over 22,000 Montessori schools across 110 countries around the world. Montessori is one of the fastest growing forms of education in the world. The effect Maria Montessori has had on and continues to have on ECE programs and schools throughout Canada and across the globe is unprecedented and growing in popularity. 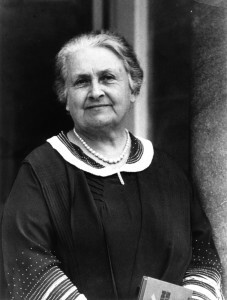 And although Montessori died in May 6th, 1952 she left behind a legacy so great in the field and study of ECE that the Montessori name has not only become a household name in the field of ECE, but a symbol by which many people associate good quality early childhood education. 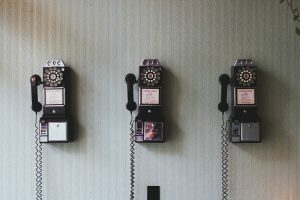 The following are resources to help you discover more about the Montessori school of thought, Montessori programs in Canada, and read a biography of Maria Montessori. 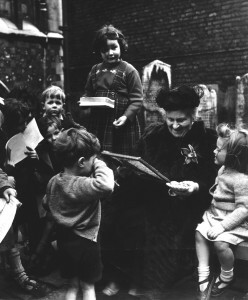 There are a range of posts on Maria Montessori available on our blog. Click here to access several different videos on Montessori education. 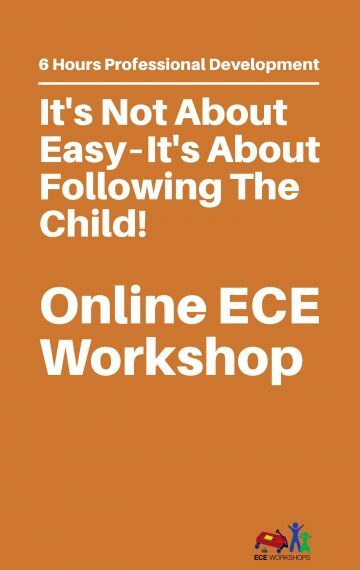 The online ECE workshop called “It’s not about easy–it’s about following the child” has been developed by 45 Conversations to support early childhood educators in easily obtaining their professional development hours. This workshop incorporates a lot of early learning practices based on the Montessori method. You can join this workshop now and begin learning about Maria Montessori right away. Register today! SPARK: The Early Years is a conference being hosted this weekend by graduate students from the SPARK Program at the University of British Columbia on Friday April 28th and Saturday April 29th, 2017. The pre-conference will be held Friday April 28th from 2pm-7pm at a cost of $10 and will include a light dinner. The pre-conference will include tours of UBC Childcare Centres and of the UBC Infant Studies Centre both of which will be followed by an exciting discussion with an expert panel. The main conference will take place Saturday April 29th from 9am-5:30pm for a cost of $20. Dr. Peter Moss is the keynote speaker for the conference, which will also have workshops, presentations, a children’s art exhibition, posters and sharing circles. There will also be a book launching taking place at the conference by First Nations authors Harlan Pruden and Sharon Shorty called “Gamma Susan Can’t Go Hunting”. 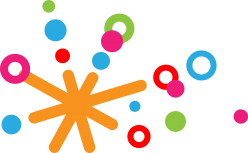 SPARK: The Early Years is a conference for early childhood educators, advocates, researchers, and policy makers. SPARK promises that all attendees who require Professional Development hours will receive a Certificate of Attendance. There are a great many questions that arise when developing a new child care program. Quality child care design brings together a lot of moving parts. Knowing what’s involved, how to start and things to consider when it comes to child care design is critical. Below are several resources specific to child care in BC that will be of assistance to individuals and organizations considering establishing new child care spaces in BC. 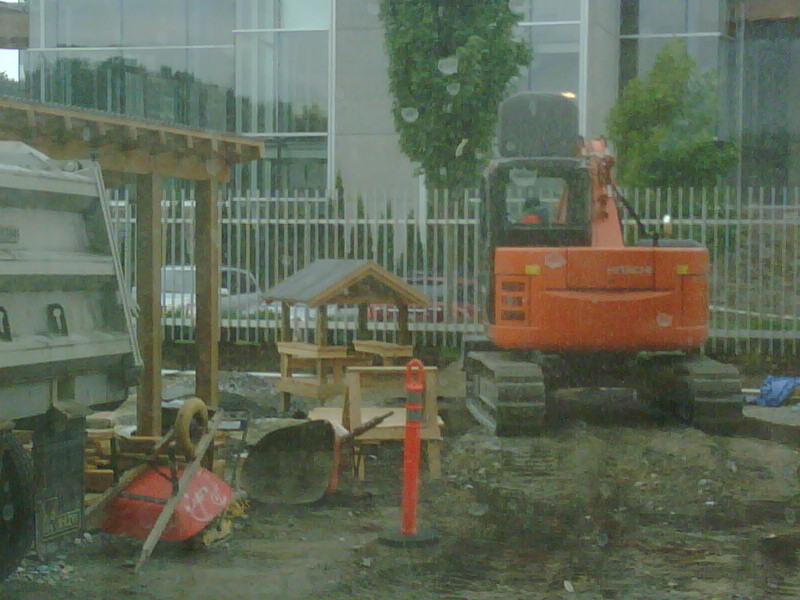 The recent funding for new child care spaces in BC is for the development of spaces that are licensed. It’s important to note that licensed child care facilities are required to work in compliance with the Child Care Licensing Regulation. These regulations are the minimum requirements that all licensed child care programs in BC are required to meet. In many ways, the Child Care Licensing Regulations serve as a foundation for a high quality program to be built upon. That said, where possible — it’s a good idea for programs to not only meet — but to exceed the minimum requirements that have been established within the Child Care Licensing Regulation. 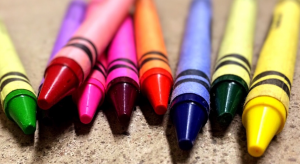 Understanding what’s involved in designing a quality child care program can be confusing. The Provincial Government offers quite a helpful range of information to support child care program development and operation. You can find more about that here. How a program goes about meeting the child care licensing regulation is based upon many factors. A lot depends upon budget, available space, program type, ages of children to be served, program philosophy etc. There is a lot to consider when it comes to the development of new child care spaces. Below are some additional resources related to the design and development of early learning and child care spaces. The City of Richmond has an excellent and very informative document explaining the guidelines recommended in the design of and the technical considerations necessary for the development of new child care facilities within urban environments. From safety to security concerns, this document covers a lot of helpful and easy to read resources and recommendations for the creation and development of safe and secure, educational, and fun child care spaces. The City of Vancouver provides another resource that is useful in terms of designing and creating new child care facilities. Much like the City of Richmond’s document, this document provides technical and design elements necessary to the development of new child care facilities. This document delves further into the technical and architectural aspects of creating the actual buildings, spaces, and programs within a child care facility, citing multiple companies that have proven successful to use in the past when it comes to building good quality child care facilities with appliances and fixtures specifically designed for child friendly environments. Vancouver Coastal Health provides a design resource for creating new or renovated child care spaces that incorporates the needs of the children, families, and communities involved in its designing and budgeting. The BC Aboriginal Child Care Society – Many Resources Available! The BCACCS has produced several publications in partnership with various colleagues in the field of Early Childhood Development. Many of these publications include information about best practices and approaches in Indigenous early childhood programs. It is beneficial for programs to take into consideration the needs of Indigenous children when designing new child care spaces. While this toolkit speaks to ways to make school play spaces more inclusive; it’s still a valuable resource for early childhood programs when it comes to the development of outdoor play areas for child care programs. Several years ago Child Care Options put together this list of architects who work in the area of child care design and outdoor play areas. Need Help with Child Care Design or Program Development? 45 Conversations provides an array of consultation and program development services related to early learning and child care projects. If you are working on a project that you need assistance with please contact Jane Boyd to further discuss the needs of your project. Employers who are considering the development of workplace child care might also find this information helpful. This post was researched and written by Pricilla Westlake and Jane Boyd.